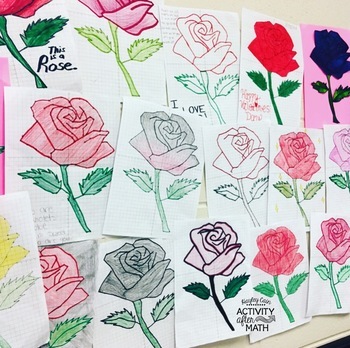 This is a great activity where students graph points on a coordinate plane and it creates a picture of a Rose! The clever title of "Because I Love You!" gives them a clue to what the picture will be. 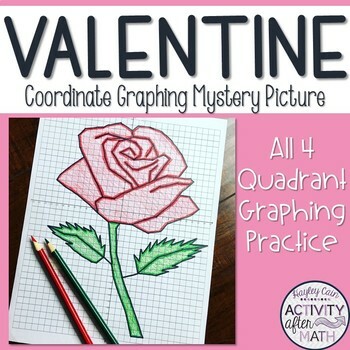 This is a great Valentine's Day, Substitute, "filler days", Mother's Day, or end of the year graphing activity! My students love to graph this and color it with their own designs! 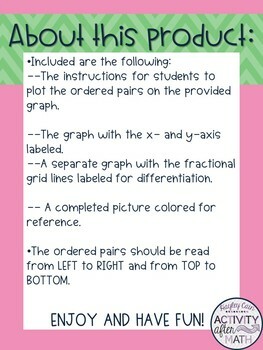 The completed graphs make great bulletin boards for your classroom or hallway! 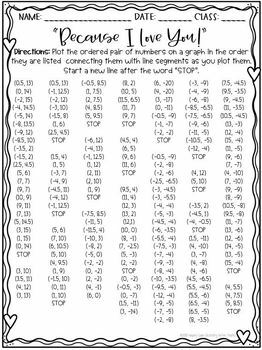 It is easy to print the points on one side and the graph on the back to save paper! This is hand drawn, not computer generated, so the points graphed work out exactly as the picture looks! © Hayley Cain (Activity After Math) Please note - this resource is for use by one teacher only. Additional teachers must purchase their own license. If you are interested in purchasing several licenses, please contact me. Thank you for your feedback and Happy Teaching!